After a difficult start to the season in which they lost back-to-back games against big-six rivals Manchester City and Chelsea, Arsenal have picked up to accumulate maximum points from their last three Premier League outings. Victories over West Ham United, Cardiff City and Newcastle United have not been entirely straightforward, though, and there is reason to believe that Everton could cause them problems when the two clubs lock horns at the Emirates Stadium on Sunday afternoon. The transition from Arsene Wenger to Unai Emery was always likely to be a little bumpy; after all, the Frenchman had occupied the hot seat in the red and white half of north London for over two decades, with the entire club built in his image. It was obvious from the opening game of the campaign that Emery had made stylistic changes – the Gunners press much more cohesively under the former Sevilla and Paris Saint-Germain coach, while there is also a clear desire to play out from the back whenever possible – but there were notable teething problems as the squad adjusted to the new man’s demands. Petr Cech, for instance, continues to struggle with his new remit of building up from deep, and there have been several episodes of defensive shakiness throughout the team so far in 2018/19. On the plus side, Arsenal have carried a significant attacking threat in their last three matches, scoring eight goals in 3-1, 3-2 and 2-1 victories. They found the back of the net twice in a 3-2 loss to Chelsea too, and could have beaten Kepa Arrizabalaga more often had they not spurned a number of golden opportunities in the first half at Stamford Bridge. 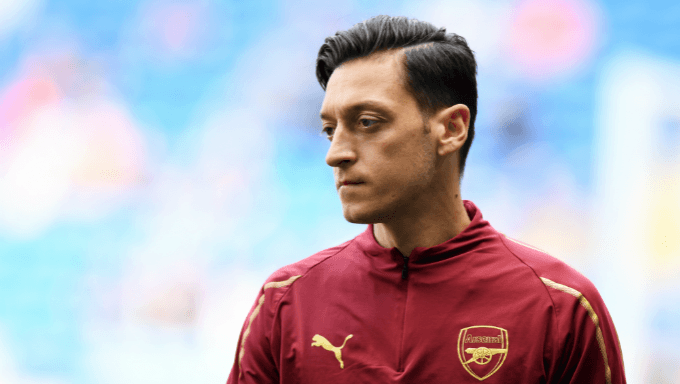 Emery has found a way to get Alexandre Lacazette and Pierre-Emerick Aubameyang into the same XI, employing the former through the middle and the latter on the left with a license to cut infield, while Mesut Ozil is gradually getting up to speed after a slow start to the season. Yet Arsenal, who are 1/2 at Black Type, are yet to convince for an entire 90 minutes, and they again experienced a few wobbles against Newcastle last time out – both in the first half when the Magpies fashioned some promising openings, and towards the end once they had pulled a goal back to halve the deficit. Defending opposition counter-attacks has proved a particular difficulty in the last few weeks, and Everton will have reason to believe that their wide men can do damage in transition on Sunday. The Toffees’ start to the season has been rather underwhelming, however, and a 3-1 home defeat by West Ham United – who had not picked up a single point before their trip to Goodison Park – led to questions being asked of Marco Silva. Everton, 6/1 to win against the Gunners with Betfair, were held to a disappointing 1-1 draw by Huddersfield Town immediately prior to the international break, having drawn 2-2 with Bournemouth the week before that and 2-2 with Wolverhampton Wanderers on the opening day of the campaign. Granted, Silva’s side have only lost once so far this term, but a return of six points from a possible 15 is fewer than supporters would have been expected given the opposition they have hitherto faced. The fixture list remains relatively kind after Sunday’s visit to the Emirates Stadium, but Everton will face Manchester United, Chelsea, Liverpool, Manchester City and Tottenham Hotspur between late October and Christmas, so they will want to be higher in the table than 10th place heading into that tricky period of the campaign. Like their upcoming opponents, Everton have not yet kept a clean sheet this season – even second-tier Rotherham scored against them in the League Cup. Silva has fielded three different centre-back combinations in his team’s five Premier League matches, which is indicative of the fact that the ex-Watford coach still does not know who his best two options are. There are also question marks in the centre of the park, where Morgan Schneiderlin continues to look a shadow of his former self; the former Manchester United man was taken off in the first half of Sunday’s reverse against West Ham, and Silva will probably bring in a different midfielder alongside Ivory Coast international Idrissa Gueye this weekend. With neither side having convinced at the back, it could be worth backing both teams to find the net at the Emirates on Sunday. The odds across the board are not particularly enticing, however – Karamba offer 20/33 – so instead go for a home win with goals for both sides. That is available at 13/10 with the same bookmaker, but 888sport offer a superior price of 17/10.